Allisha Macoretta produces work that speaks in a visual language of colour, form, line and fracture. 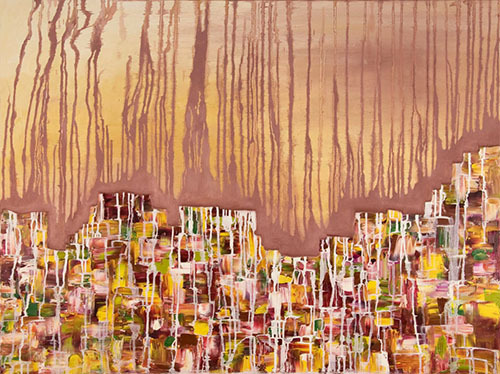 Her abstract oil paintings range in size and colour with the use of acrylic medium to add fracture and depth. Each piece is created without the aid of preliminary sketches, adding a sense of adventure and accident to her work which leaves it in constant evolution. Most of Allisha's work can be described as a kind of alien landscape leaving the viewer to always fine their place in it.